Don't miss out on a good night's rest; find just the right sleeping bag for you! Perhaps you're headed out on a backpacking trip and you'll need a sleeping bag that'll keep you warm and stay light. Perhaps you're camping and can afford a little extra weight, and you tend to get really cold at night. Perhaps you're staying at a lake house with friends, and you'll need something to serve as an overflow bed. Because your needs for a sleeping bag vary, we'll help you avoid an awful sleepless night. Choose from these top sleeping bags and you won't find yourself full of regret at midnight. Additionally, we'll guide you through the purchase of some sleeping bag "accessories," such as the sleeping pad and compression sack. See below for some of our personally-tested favorites. The chart below displays the best sleeping bags along with their ratings. Your body temperature is likely one of the biggest factors that will keep you awake. If you're too hot, or too cold, you won't get that precious sleep to help you recharge. Sleeping bags advertise their ability to keep you warm down to a certain temperature. While it's not totally accurate (there are many ways to adjust your temperature), it's a good guideline to consider among other sleeping bag components. Down and polyester are the two most common materials. These contribute to the temperature ratings and the weight of the sleeping bag. When you're carrying your essentials on your back, shaving off even a bit of weight can be helpful. If you're looking for the best sleeping bag as a backpacker, you'll want to focus on two important features: weight and warmth. The best sleeping bags for backpacking mean that you won't have to hike with any unnecessary weight. If you're spending time in the backcountry, you'll likely be in areas that drop temperatures at night, too. Therefore, the key will be finding some of the best sleeping bags that are lightweight and warm. Beyond the material and temperature ratings, you still have a choice of preferences when searching for the best sleeping bag. Perhaps you're looking for the best sleeping bags for couples, where it's big enough to snuggle. Or, maybe you prefer to sleep with extra ventilation for your feet. You can choose a fully zipper, or a partial zipper, depending on if you want to cut down on some weight. Some sleeping bags feature a hood with varying degrees of extra material to serve as a pillow. What's the Lowest Temperature I Would Realistically Be Sleeping In? It may sound epic to head out to the woods in New England in February. Planning a camping trip while in your warm house might mean that you forget what it'll really be like to try to sleep when it's below freezing. Unless you're totally committed to frigid temperatures, don't buy a sleeping bag that advertises such warmth. You'll end up way too hot, and there's not a good middle ground with a sleeping bag. You're either all wrapped up, or trying to cool yourself off with no layers on. Keep in mind that you can control your temperature with the layers you wear, too. On the other hand, just because a sleeping bag advertises that it's a "zero-degree bag" doesn't mean you'll be toasty. Therefore, keep in mind the temperatures of the nights you'll realistically be sleeping in. Purchase your sleeping bag according to the temperature rating that will be 10-20 degrees in that range. The mummy shape for a sleeping bag means that it's tapered at the bottom. You're totally wrapped up in a mummy bag. When you roll over, you'll just roll over with the whole bag with you. The envelope shape, or square sleeping bag means that the bag is shaped like a rectangle. The mummy shape tends to trap in heat better, since it ultimately is wrapped closer to you. However, some find that this mummy shape is too constricting, and prefer to be able to move their legs more freely inside the envelope shape. Premium goose down works really well to provide warmth. (Leave it to mother nature to master lightweight and warm.) Down has the best weight to warmth ratio. The downside is the price for these premium down sleeping bags, though. The synthetic material, polyester, offers some good warmth as well, and at a cheaper price. However, real down ultimately wins the competition for best warmth and lightweight. The mummy-shaped sleeping bag scored excellent reviews for being durable and keeping you warm. It's made from polyester and weighs only 2.8 pounds. 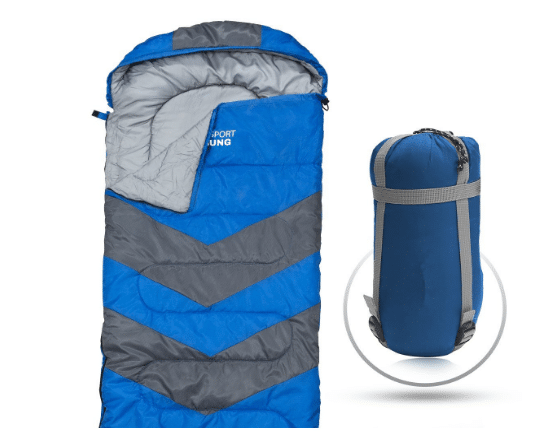 This sleeping bag is best for slightly above-freezing temperatures, but Winner Outfitters also features a sleeping bag designed for colder temperatures. We especially appreciate the hood and the "draft collars." These help to regulate your temperature by keeping your head warm, but still allowing the space to breathe. Additionally, the double-zippers allow you to zip open the bottom (or really any position along the side) for ventilation. What better way to stay warm than to snuggle up with your significant other! This double sleeping bag allows you to do just that! It's extra wide which means that you'll have plenty of space for two. The extra warmth from both of your body heat would be very welcomed on cold nights. This double sleeping bag, one of the best sleeping bags for cuddling, even has three zippers. That way, you can regulate the temperature on either side, to make sure that it doesn't get too hot in there. This one from Hyke and Byke earns itself a spot in the list of best sleeping bags because of its durability and lightweight. The down means that it's incredibly warm without being heavy. Plus, this sleeping bag comes with a lifetime warranty! Additionally, you can choose between the regular or long size. The YKK zippers work smoothly and the outside is water repellant. The smell bothers some customers, especially after the first few uses. 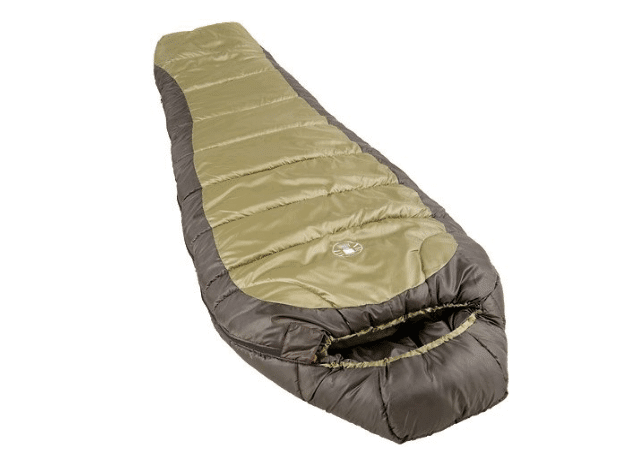 Another of the best sleeping bags, the Coleman North Rim, has the mummy shape to keep you cozy. The Thermolock draft tube is a ribbed, insulated line around the neck area to help seal in the heat, rather than let it escape out the top. The price and quality of this Coleman sleeping bag is why it earns a spot among the best sleeping bags. The synthetic material contributes to the lower price of this sleeping bag, but still provides a good level of warmth. A drawstring helps keep things snug around your head, and this sleeping bag has a hood. Perhaps one of the most frustrating things when getting in and out of a sleeping bag is a snagging zipper. To prevent this, Coleman includes the ZipPlow on the side zipper. It works by pushing the fabric out of the way to allow for a smooth zip. 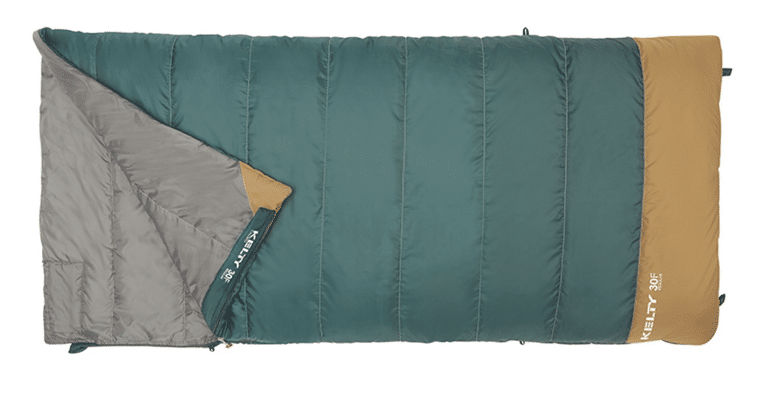 Marmot knows outdoor gear, and they've earned a spot in the list of best sleeping bags. Many sleeping bags advertise their extreme temperature ratings, promising to keep you warm way below freezing. This is a great sleeping bag for times you know you won't be caught in below-freezing temperatures. You won't get too hot, and SpiraFil insulation makes sure that you're just the right temperature. The footbox is shaped to allow for extra wiggle room. 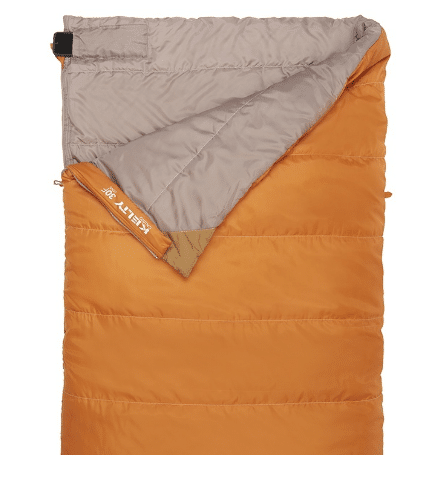 We especially appreciate the plush, blanket-like feel that lines the lower part of this sleeping bag. This is one of the best sleeping bags for a drive-in camping spot, or staying overnight when there's not a bed available. The price is just right, and it's a good quality for what you'd expect. The dual layers and synthetic material suggest that they'd keep you warm even at 20 degrees Fahrenheit. The S-shaped quilted design helps it not to wear out, and keep in the warmth. 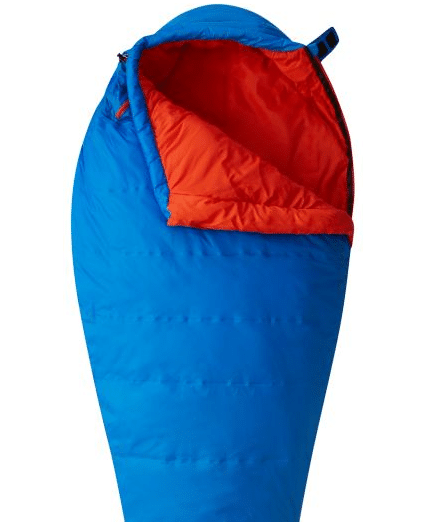 This sleeping bag includes a carry bag and is pretty easy to wrap up the sleeping bag into. Since it's not the "mummy shape," customers might prefer the "envelope" shape with more room past the knees. 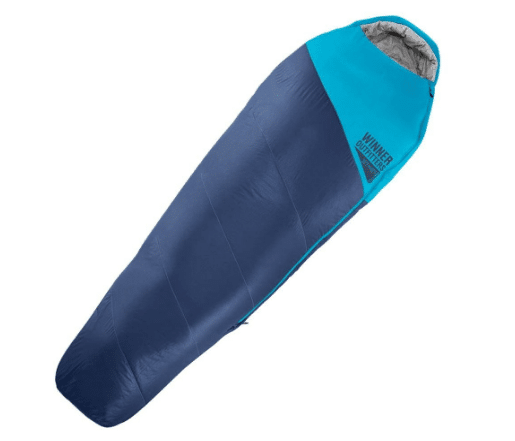 If you're headed out in cold temperatures, or if you want to be sure you'll be warm, the Coleman Silverton Zero Degree Mummy will be one of the best sleeping bags for you! It's polyester and double-lined. The insulated draft tubes makes sure that heat won't escape out the top. The hood keeps your head warm, and the quilted design means that you won't have cold spots. Fold over the zipper flap so you can be sure the zipper won't slide down. It's one of the best sleeping bags for camping in cold temperatures. This is a great women’s bag for backpacking or camping in the winter, fall or spring (or spring in the Rockies). It’s rated for warmth around 34 degrees fahrenheit, and we’d say that it’s ideal for climates such as spring in the Rockies, winters in the mid-Atlantic and south, or fall, spring or summer in the northern parts of the U.S. We love that it’s especially made for women. That way, there’s no unnecessary extra material and therefore extra weight in your backpack. The mummy shape of this Mountain Hardwear sleeping bag draws in your feet, to keep the material close to your body and the warmth trapped in. However, there’s still plenty of room in this mummy sleeping bag. The patented Lamina construction promises to eliminate draft and keep the warmth in idea spots. This women's sleeping bag features a soft polyester interior. We also appreciate that the sleeping bag’s exterior isn’t totally shiny, so it’s not slippery on your sleeping pad. 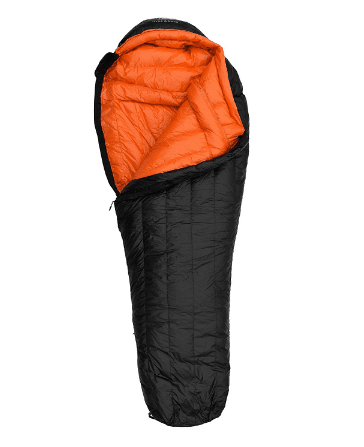 We also appreciate that the sleeping bag packs up to a really compact size, and weighs under three pounds. Additionally, when you pull this synthetic bag out of the Nylon compression stuff sack (included, too!) the sleeping bag still has some comfortable loft to it. 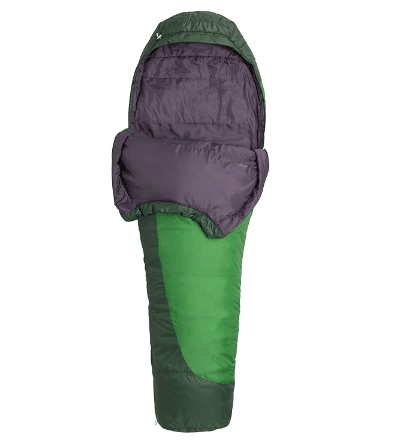 Of the women’s bags we’ve tried, we prefer this Mountain Hardwear sleeping bag! This bag is one of the best sleeping bags for car camping. It's comfortable, and offers a good alternative to the popular mummy sleeping bags. (I tend to prefer this rectangular shape). 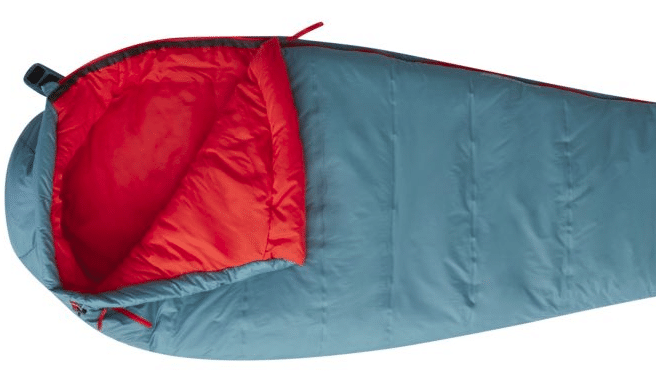 This Kelty sleeping bag isn't ideal for backpacking, since it weighs over four pounds. However, it is super cozy for car camping, backyard camping, or a cabin. Cloudloft insulation keeps you warm, and a zipper draft tube runs along the inside. Even better, the zipper features a snag-free design, and it actually helps. It is relatively inexpensive for a simple, no frills sleeping bag that will keep you warm even when the temperatures drop at night, and that's why we think it's one of the best sleeping bags. This sleeping bag comes with a stuff sack, and you can choose between two sizes: regular and long. Whether you’ll be backpacking or camping (or sleeping on a friend’s basement floor), a sleeping pad helps to make your night more comfortable. If you’ll be spending a lot of time backpacking, your needs for a sleeping pad will be a bit different. A backpacker’s focus is lightweight and compact. For those requirements, then, we suggest the Chillax Ultralight Air Sleeping Pad. 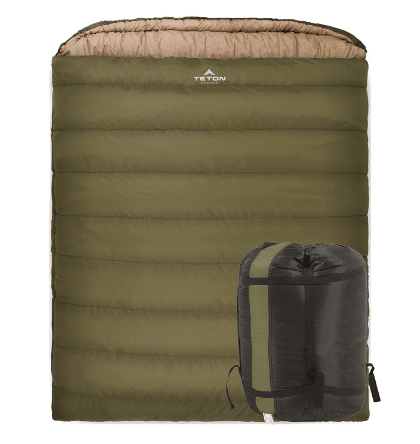 Or, if you’re looking for a good self-inflating, thick sleeping pad, we suggest the Kelty Galactic Sleeping Pad. Rolls up slightly around edges; doesn't lay perfectly flat when without weight. 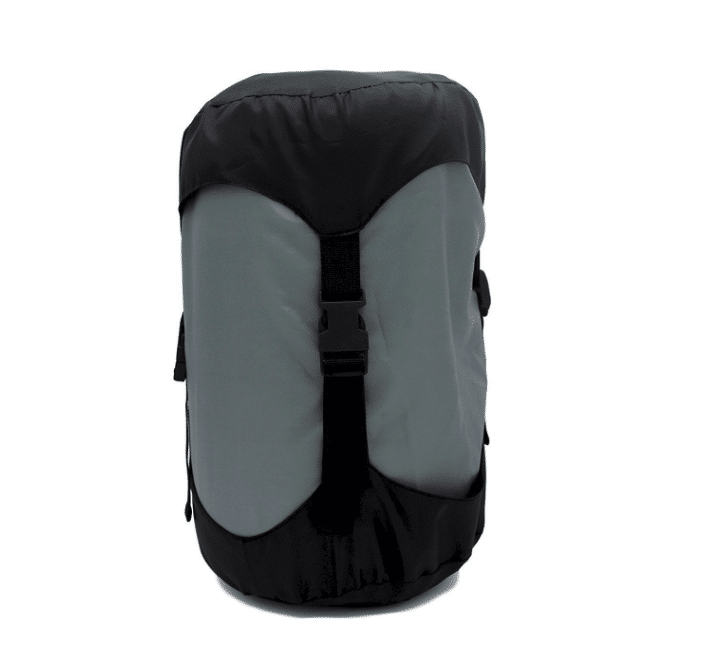 For backpackers, campers or basement-floor sleepers, we also suggest the Chillax Ultralight Air Sleeping Pad. The price range is just right; not too expensive, especially if you won’t be using it every week. Inflate this sleeping pad with about 8-10 breaths (I counted myself, and didn’t even feel light-headed). We especially appreciate the “honeycomb” shape of the inflated bubbles. 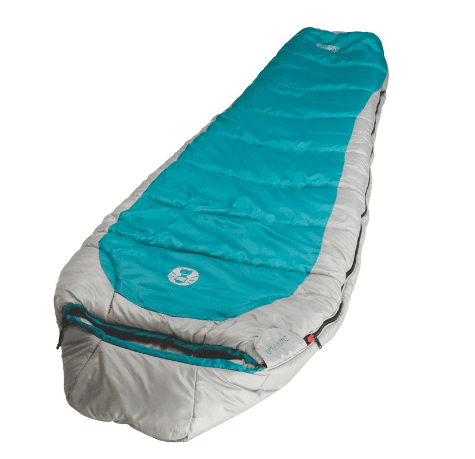 Other sleeping pads have vertical or horizontal lines of inflated air, but this one seems to better disperse body weight on top of it. We also totally appreciate the valve, which prevents air from coming back out when you’re breathing in to inflate. And lastly, the whole sleeping pad packs up really compactly. It comes with a little drawstring bag, and an elastic band to wrap around. Plus, it weighs only about a pound. The Kelty Sleeping Pad is a nice option for camping trips, rather than backpacking. It’s really comfortable to sleep on, but it’s heavier than backpacking sleeping pads. It weighs just under five pounds, and maintains a rectangular shape, rather than the mummy shape. 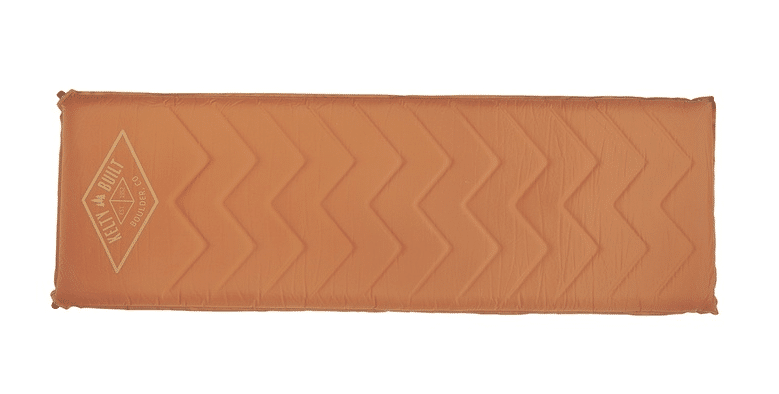 This sleeping pad fits the Kelty sleeping bags that are rectangular. The sleeping pad self-inflates once you unroll it from the included sack. Since it’s 2.5 inches thick, your hip bone won’t be hitting that rock all night in your tent. Some sleeping bags come with a compression sack. The thin material of these bags helps it to pack up really small. Draw strings and buckles “compress” the contents of the bag, whether it’s your sleeping bag, clothes or other gear. While some of these best sleeping bags come with their own “sack,” many aren’t a true compression sack, so you’ll need to consider this: will you be backpacking or even packing your sleeping bag where space is limited? A compression sack is precisely what you’ll need. 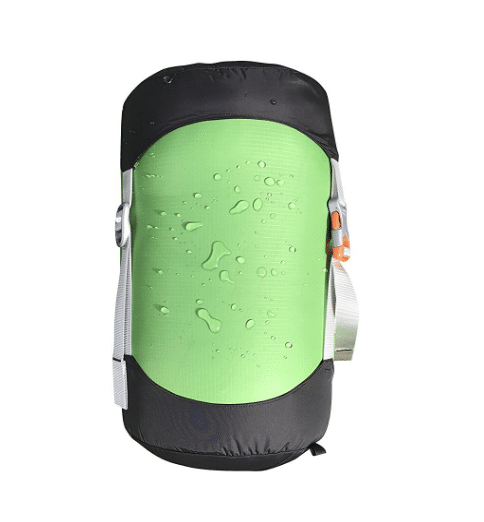 The GoBackTrail compression sack works well to save space in your backpack. The buckles straps are strong, and the top and bottom feature a fabric “cap” which helps to draw the contents together. I purchased the 14L size and it worked perfectly with my mummy sleeping bag. Some of the smaller sizes are seemingly useless. Another great option for a sleeping bag stuff sack, or a sleeping bag compression sack, is the AegisMax compression sack. They offer many different sizes, so you can even buy an extra one for other gear or clothes. Sizes range from 6L all the way up to 30L. There are three cinch straps, to evenly pull the contents together. The material is extra thin, yet really strong: ripstop nylon with a waterproof coating. Here’s a tip we’ve found helpful when backpacking: color-code your compression sacks so you remember what’s in them! This AegisMax compression sack comes in lime green to help you with that! 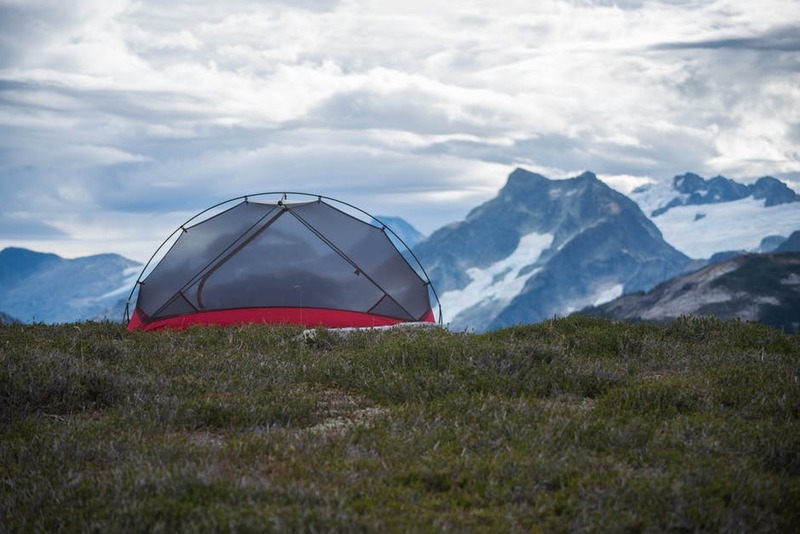 Purchasing supplies for your upcoming camping trips can be daunting. Let us help with these product reviews. Head out in some frigid temperatures, and you'll sleep well with some of these zero-degree sleeping bags. Backpack through the woods and you'll have the warmest, most lightweight bag out there. For those varieties of needs, these best sleeping bags won't disappoint. 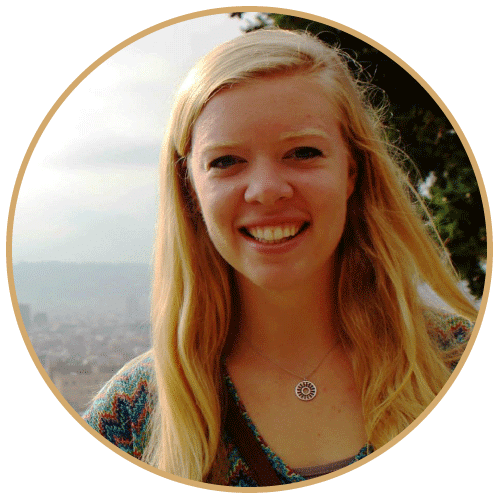 Prices now are moderate, too; you won't necessarily have to save up to purchase a quality sleeping bag. Consider your needs before purchasing, but it's hard to go wrong with these seven best sleeping bags. Furthermore, the sleeping pad and compression sack makes your whole experience more positive. Save space and save your back while you sleep outside in these best sleeping bags!